My bachelor’s and master’s degrees are in Christian theology. 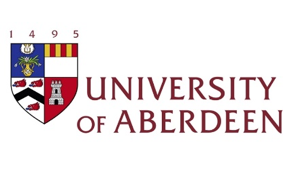 I came to Aberdeen to explore the secular in theological perspective, and after joining CISRUL refined this to a consideration of Christian participation in liberal democratic politics. My thesis traces themes of the state, politics and violence in the work of three contemporary theologians (John Howard Yoder, Stanley Hauerwas, John Milbank) and concludes with an examination, from the perspectives of legal and democratic theory, of the jury as a site of conscience in liberal polities. My advisers are theologian Philip Ziegler, anthropologist Trevor Stack and legal theorist Tamás Győrfi. I am interested in theological construals of the secular, as well as the relation of popular and academic Christianity to liberal ideals and institutions such as tolerance, rights discouse and the separation of church and state. I have tutored for CISRUL’s course on human rights, and have tutored and given occasional lectures within Divinity and Religious Studies. I am an Associate Fellow of the Higher Education Academy. I have a forthcoming article in the International Journal of Public Theology on the state in the theologies of John Howard Yoder and Stanley Hauerwas, and have written another comparing Jesus’ articulation of the Golden Rule with John Rawls’ veil of ignorance.